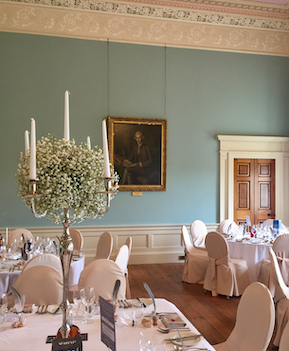 Wedderburn provides an elegant backdrop to enjoy fine food and wine, whether celebrating a birthday, hosting a wedding or organising a corporate event or family gathering. Relax with a glass of something warming by the magnificent marble fireplace in the drawing room, raise your glasses for a toast in our dining room, enjoy a hearty dinner under our sparkling chandeliers, dance it off in the ballroom, then recover the next morning with a hearty breakfast in front of the log-burning stove in our character-filled breakfast kitchen. For a more rustic setting, party in our barns with hog roasts, street food or more formal fare for up to 150. The castle and barns provide a backdrop for a wide variety of dining options, ranging from kitchen suppers and courtyard barbeques for friends and family, to banquets for weddings and special occasions. Celebrations are overseen by our panel of approved caterers who have been selected for their excellent food and professionalism. For smaller groups we offer self-catering facilities for up to 26 guests. The Scottish Borders offers a wealth of fresh produce, notably salmon from the nearby river Tweed, fresh seafood from the fishing port of Eyemouth, and excellent wild game, Scotch beef and Border lamb. The	area also has many artisan food producers, ranging from smokeries to cheesemakers and breweries to ice-cream producers. If you are considering an event at Wedderburn you may wish to speak to The Orde Food Company, Ginger Snap, Appetite Direct, Great Northumberland Bread Company, Regis Banqueting or Stocks Events to discuss menus, prices and drinks options. "We've had a fantastic time, everything was perfect. The food was wonderful, all the staff so helpful and friendly. The castle is wonderful and a perfect setting. We'll never forget our wedding day- Thank you!" 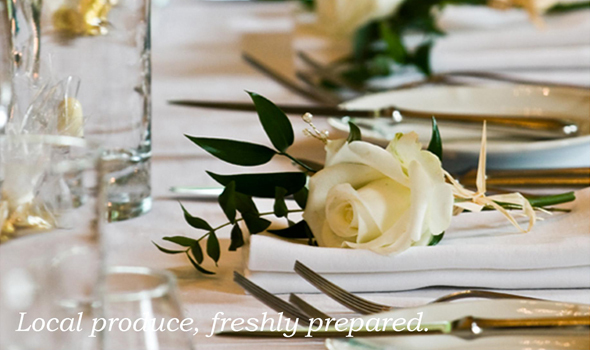 Wedderburn is the perfect location for your wedding and reception.